Explore 8 – Big-Screen experience in a portable package. 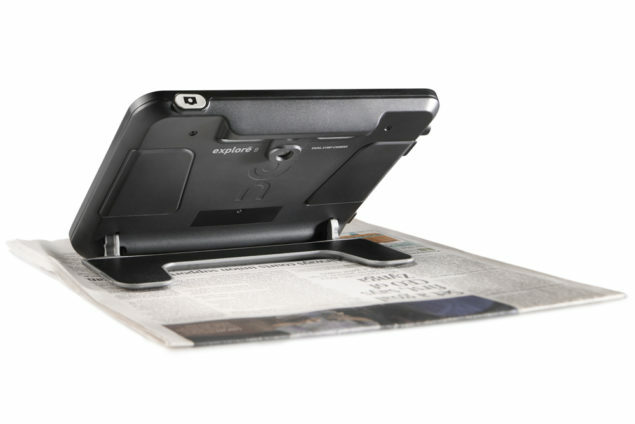 Explore 8 is a smart, portable, touch-screen, two-camera tablet, designed with the user in mind. The unmatched clarity of image with the most powerful camera on the market. Easy to use, intuitive use and one-touch buttons to activate features. Light, portable, customizable. 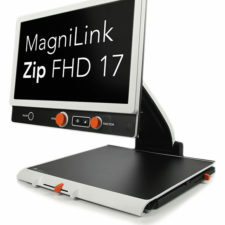 This is the perfect electronic video magnifier for anyone with low vision and age related macular degeneration. 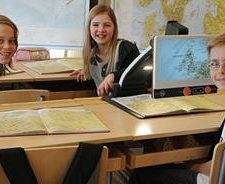 More than ever, people with low vision are looking for a powerful yet lightweight tool to help them see clearly in their daily activities. Our latest innovation? 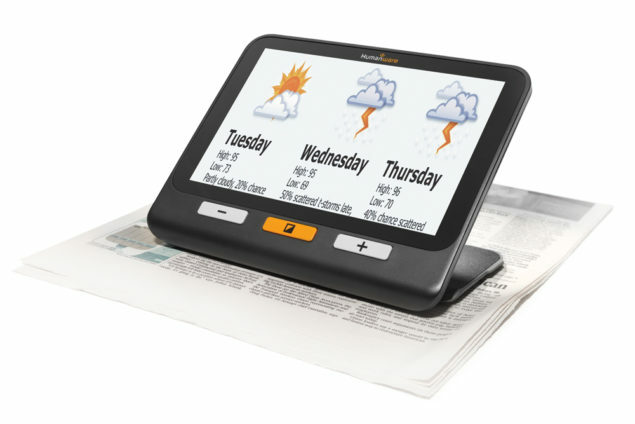 The Explore 8, a Touchscreen HD handheld magnifier for active people who prefer a large screen but still want maximum portability. 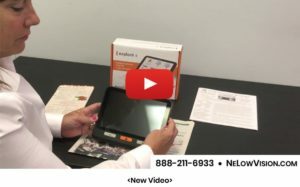 It is smaller, lighter and more affordable than most 7-inch magnifiers on the market while providing a screen more than 30% larger, designed to make life easier—and a whole lot clearer. 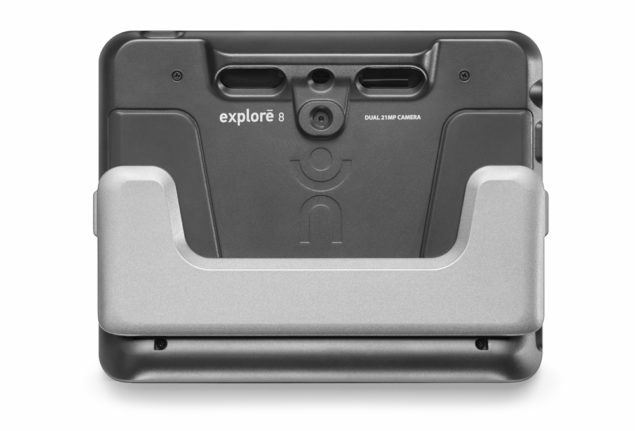 The Explore 8 may be compact but it packs a powerful punch, with a large Ultra HD screen for easy reading and a host of other cutting-edge features to help keep things in focus when you’re on the move. 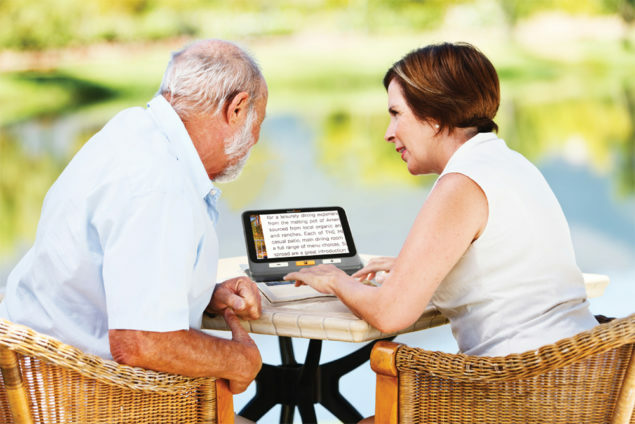 Take it to your doctor’s appointment, meeting with financial advisor, attorney or anywhere you need a portable device. 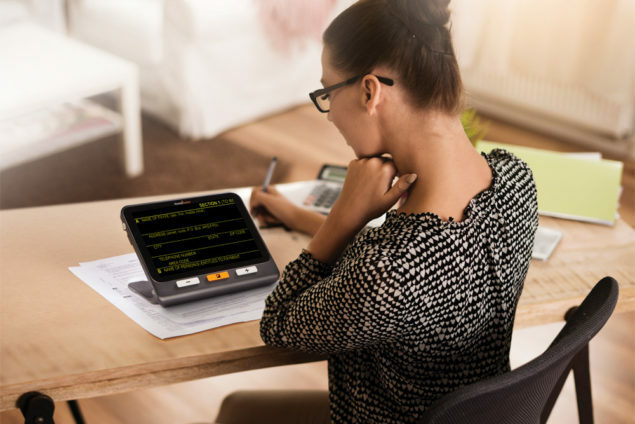 With its compact design and smart, intuitive features, the Explore 8 is changing the way vision-impaired people experience and interact with the world around them. 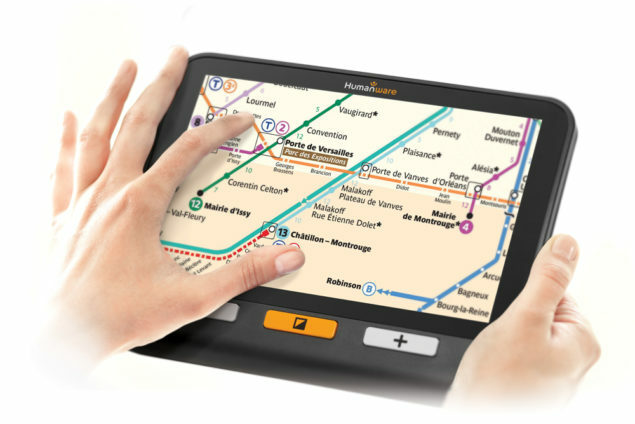 The Explore 8 was designed to be as user friendly as it is intelligent, with next-level software made with the mobile user in mind.